We have a winner!!! With the sad passing of Gordon Banks, Martin and Julia both score 69 points! Not a vast change in the leader board, but two more people up and running! Some interesting names in the list this time around, however a somewhat dry news week. John Haynes, 80, British publisher (Haynes Publishing Group). Carmen Argenziano, 75, American actor (Stargate SG-1, Booker, Angels & Demons). Betty Ballantine, 99, British-born American book publisher (Ballantine Books, Bantam Books). Gordon Banks, 81, English footballer (Leicester City, Stoke City, national team), world champion (1966). Bruno Ganz, 77, Swiss actor (Downfall, Wings of Desire, Nosferatu the Vampyre), colorectal cancer. Serge Merlin, 86, French actor (Amélie, The City of Lost Children). 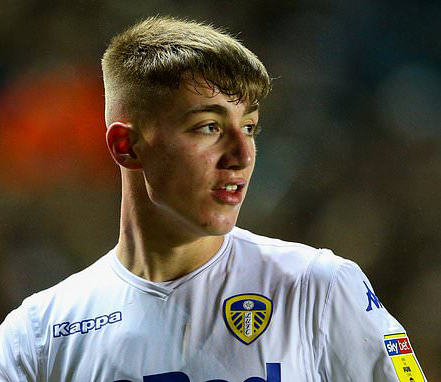 Leeds winger Jack Clarke is “responsive” in hospital after being taken ill during his side’s 1-1 Championship draw at Middlesbrough. The 18-year-old, who had been substituted at half-time, complained of feeling unwell in the dugout and was then carried away on a stretcher while being given oxygen. Leeds said in a statement: “Jack Clarke began to feel unwell during the second half of our Sky Bet Championship fixture with Middlesbrough and received medical attention. After the lengthy delay, manager Marcelo Bielsa revealed after the game that the player had shown signs of improvement. Bielsa said: “What we know is that he didn’t feel well. We don’t know the reasons yet, but when he was taken to the dressing room he was feeling better. And finally, a group of scientists has called for a ban on the development of weapons controlled by artificial intelligence (AI). It says that autonomous weapons may malfunction in unpredictable ways and kill ‘innocent’ people, but it’s ok if the people are ‘bad’ and maybe have some oil that we want.. Ethics experts also argue that it is a moral step too far for AI systems to kill without any human intervention. “We are not talking about walking, talking terminator robots that are about to take over the world; what we are concerned about is much more imminent: conventional weapons systems with autonomy, they are beginning to creep in. Drones are the obvious example, but there are also military aircraft that take off, fly and land on their own; robotic sentries that can identify movement. 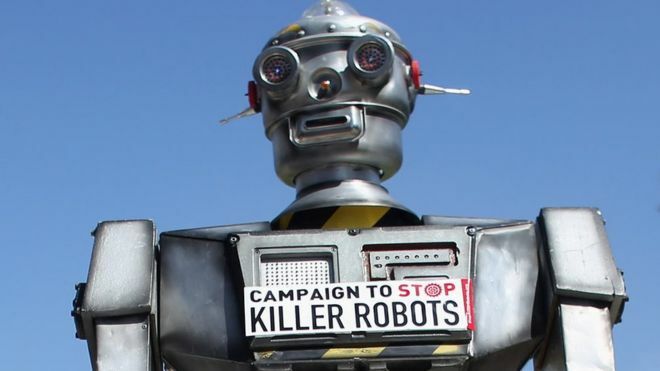 These are precursors to autonomous weapons.” The new motto should be: Keep Killing Human! 1978 – The Troubles: The Provisional IRA detonates an incendiary bomb at the La Mon restaurant, near Belfast, killing 12 and seriously injuring 30 others, all Protestants. Welcome to the new Brexit Britain. 2006 – A massive mudslide occurs in Southern Leyte, Philippines; the official death toll is set at 1,126. 2011 – Arab Spring: Libyan protests against Muammar Gaddafi’s regime begin. 2015 – Eighteen people are killed and 78 injured in a stampede at a Mardi Gras parade in Haiti. Christopher Eccleston (55), LeVar Burton (62), Amanda Holden (48), John McEnroe (60), Alex Borstein (48), Jane Seymour (68), Matt Groening (65), Danai Gurira (41), Simon Pegg (49), Andrew Robinson (77), Zach Galligan (55), Teller (71), Mena Suvari (40), Neal McDonough (53), Stockard Channing (75), Kim Novak (86), Robbie Williams (45), Peter Gabriel (69), Josh Brolin (51), Christina Ricci (39), Michael Ironside (69), Arsenio Hall (63), Annette Crosbie (85), Jennifer Aniston (50), Natalie Dormer (37), Damian Lewis (48), Thomas Turgoose (27), Sheryl Crow (57), Elizabeth Banks (45), Chloë Grace Moretz (22), Keeley Hawes (43), Laura Dern (52), and Philip Glenister (56). This entry was posted on 17th February 2019 by kingofankh. It was filed under 2019 .